Today we bring you the second installment of a two-part series featuring the highlights of our June B.E.S.T.17 event! B.E.S.T. 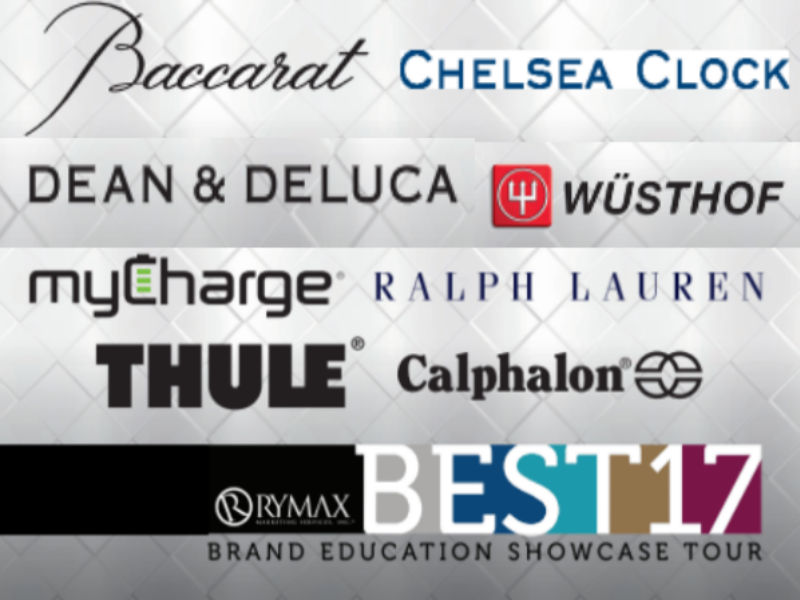 sessions were created so that we can gain insight into our key brand partners and integrate their most successful products into Rymax’s product portfolio. This allows us to keep our finger on the pulse of the latest trends and innovations and ensure that we are offering today’s hottest merchandise! A company that can trace its roots back to 1880’s America, homemade and handmade clock company Chelsea Clocks has no equal in American clock-makers. They embody all of the rich history they have acquired over the century that they have been in business. A testament to the craftsmanship and prestige of Chelsea Clocks, they have been the exclusive maker for all clocks on US Navy ships since World War One. At B.E.S.T.17 Chelsea Clocks showcased their exceptionally broad catalog of timepieces. A watch for everyone, their styles range from smaller paperweights to larger mounted wall clocks that are built to be both decorative and durable. Perfect for corporate gifting, every clock can be engraved and personalized – making them an ideal gift for commemorative achievements. Adorn your desk or that of a colleagues with a beautiful Chelsea Clock that they’ll never forget! For 39 years it has been their mission to find and provide to consumers the world’s best epicurean treats for cooking, eating and entertaining. Their team of International food experts are committed to a quest for excellence. They work persistently to curate a food-forward assortment of the best and newest food products from around the globe. The DEAN & DELUCA goal is, and has been since the beginning, to discover, introduce and support products that meet their – and your – uncompromising standards. DEAN & DELUCA showcased only a small sampling of their vast collection of goods that range from picnic basket sets to white balsamic vinegar laced with flakes of real 23 carat gold. Assorted nuts, cheeses and snack packages like the ‘Movie Night Bucket’ have foods for any occasion. All of their packaging and designs are tasteful and fun making them the perfect housewarming or party gift. 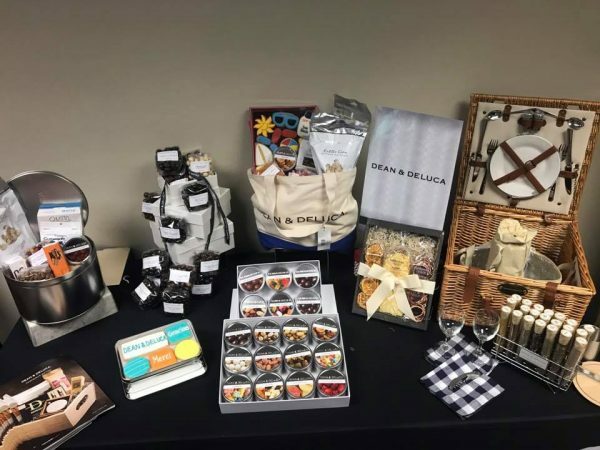 Go explore the extremely diverse and delicious assortment that DEAN & DELUCA has to offer!You may find they are the perfect solution to your corporate gifting needs. Considered the “Swiss army knife of chargers”, myCharge has over 50 products that help you stay connected. Only six years old, this company has been at the forefront of portable charging with multiple lines that provide portable and rechargeable batteries, innovative outlet technology and even waterproof solutions for charging in the wild. Available in a variety of sizes, myCharge lets you simultaneously charge multiple devices to keep you powering forward. After using it once you’ll never want to leave home without your myCharge product again! 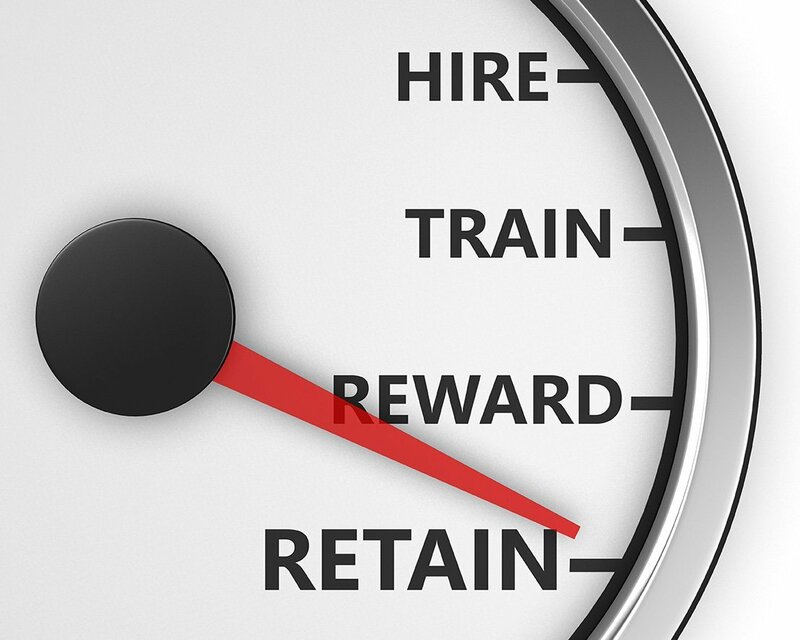 You’ll also see how valuable it could be to rewards program participants of all ages! What began 40 years ago with a collection of ties has grown into an entire world, redefining American style. Ralph Lauren has always stood for providing quality products, creating worlds and inviting people to take part in their dream. They were the innovators of lifestyle advertisements that tell a story and the first to create stores that encourage customers to participate in that lifestyle. Rymax is proud to partner with a brand that has such rich tradition and culture, and those feelings only increased after our B.E.S.T.17 event. Displaying Ralph Lauren’s budding home collection, products ranged from leather wrapped desk collections, to blankets, to collections of glassware and crystal. The most popular items present were the leather wrapped bar sets that included glasses, decanters and drink shakers. Any of these products will catch the eye of guests and instantly turn your home or bar area into a classy and fun atmosphere. Plus, the brands carefully designed men’s products are a perfect addition to the men’s gifting category. Started over 50 years ago, Calphalon’s mission is to be the approachable culinary expert in kitchenware, enhancing the home chef’s food experience during planning, prep, cooking and baking. By targeting the practical, invested and more self-identified chef, Calphalon has made it its business to bring quality home cooking products to consumers at the best price. Spawning from a metal spinning company in the heartland of Ohio, Calphalon appreciates good metal and aims to bring you the finest materials in the marketplace. Whether it is their knife collections, bakeware, cookware, utensils or handy kitchen gadgets, Calphalon prides itself on providing, innovative, durable and dependable product. New products from Calphalon include their ceramic pans and self-sharpening knife block. The ceramic pans are amazing for their heat conduction and non-sticking abilities, while the self-sharpening knife block offers patented technology that is available only through Calphalon! With an impressive catalog of products that every kitchen needs, you are doing a disservice to the inner chef in all of us if you don’t incorporate Calphalon products into your programs today! Thule was established in Sweden in 1942. And ever since then, they’ve made it their business to bring you closer to the world and your passion for life. Thule helps you transport anything you care for safely, easily, and in style so you are free to live your active life. Whatever your passion, whatever your pursuit. Wherever you’re going, whatever you’re bringing. With Thule, you’re free to live your active life to the fullest. 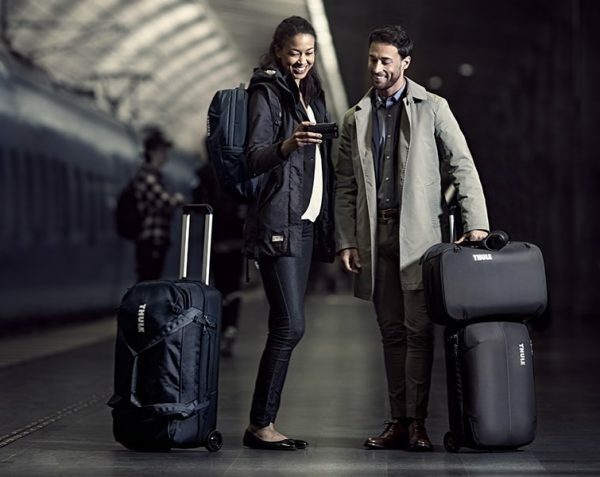 Thule, world renowned for travel roof racks, cargo carriers, bike racks and many other automobile accessories is now introducing a new line of luggage goods. Whether it is their Subtera satchel carry-on that turns into a back pack, the extensive line of duffel bags or their collection of roller luggage, every product is made from the tough and tested method you can count on with the Thule brand. Thule, who already changed the way we traveled in our cars, is now changing the way we travel with luggage. Family owned for seven generations, Wusthof was founded in Solingen, Germany over 200 years ago. To this day, every Wusthof knife is still expertly crafted in this legendary city. The fact that 85% of professional chefs in the world are using Wusthoff brand knives today is a testament to their craftsmanship, durability and precision. Wusthof is much more than simply a manufacturer of knives. They are a company dedicated to the construction and proper use of kitchen tools. They even offer videos showing you the production process as well as cutting, slicing and sharpening techniques based on the knife you are utilizing. At B.E.S.T.17, Wusthof displayed their large collection of high quality knives, tested their products on various vegetables and shared some of their expertise with our staff. Wusthof is truly an invaluable partner not only because of their products but also because of the knowledge and insight they deliver to the marketplace. 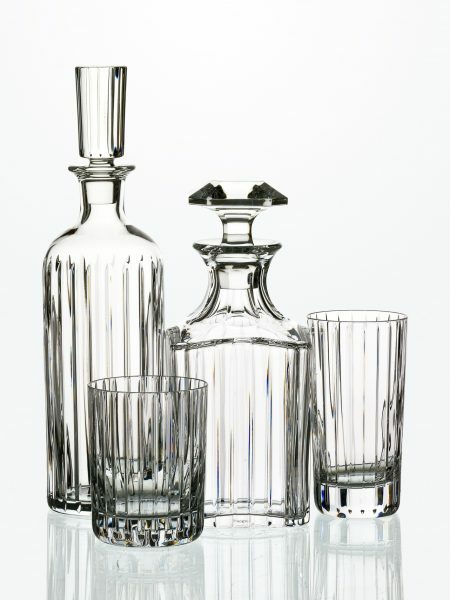 Founded over 250 years ago Baccarat is the brand name in crystal and fine china. Transforming matter into an object of desire, has been the calling and talent of Baccarat artisans since its inception, targeting perfection. It takes 15 years to master the techniques and tap the infinite possibilities for sculpting crystal. Today, Baccarat boasts the highest number of award-winning Best Crafts men in France, more than any other French luxury House. The Baccarat collection at B.E.S.T.17 was simply breathtaking. Displaying works of crystal shaped into a dog for this year’s Chinese New Year, beautiful vases and awe-inspiring glassware collections, it is easy to see why these masterfully crafted pieces carry a premium value. Whether it is the carefully sculpted designs and the deep and enchanting colors that their craftsmen are able to achieve in these works of art, Baccarat is the epitome of luxury and elegance.